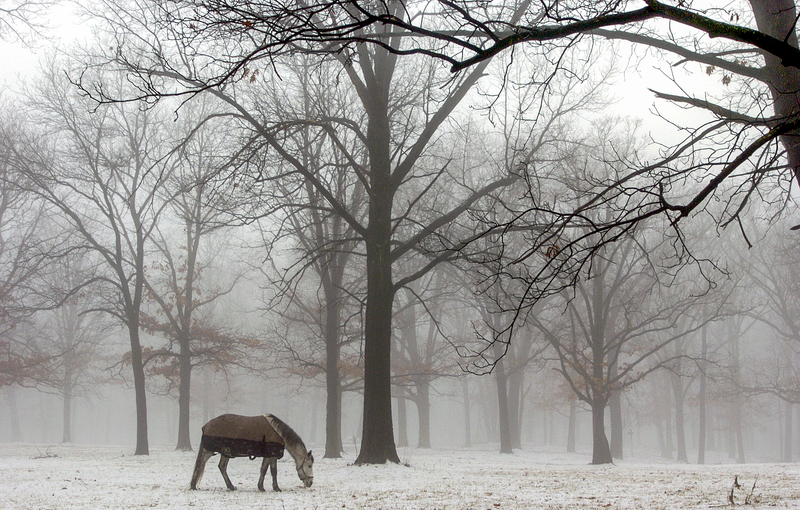 A horse forages for food in a snowy field shrouded in fog on Hickory Grove Road in Dunlap. 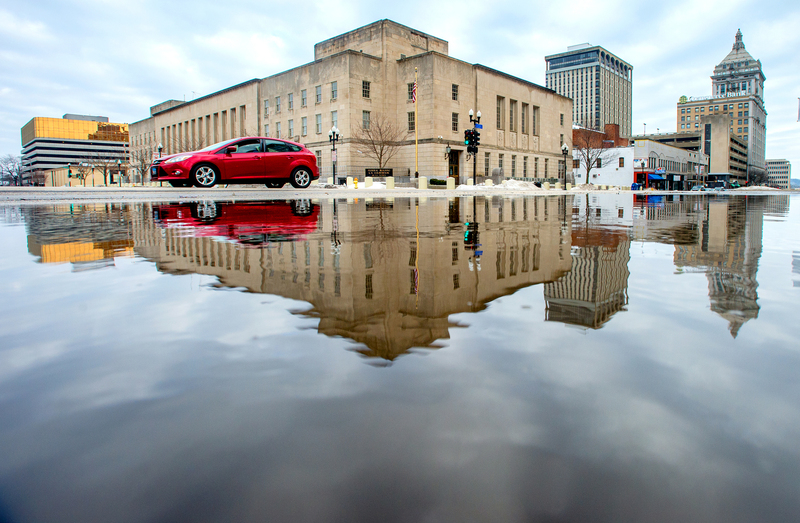 A giant puddle reflects the Federal Building as a car travels through an intersection in downtown Peoria. 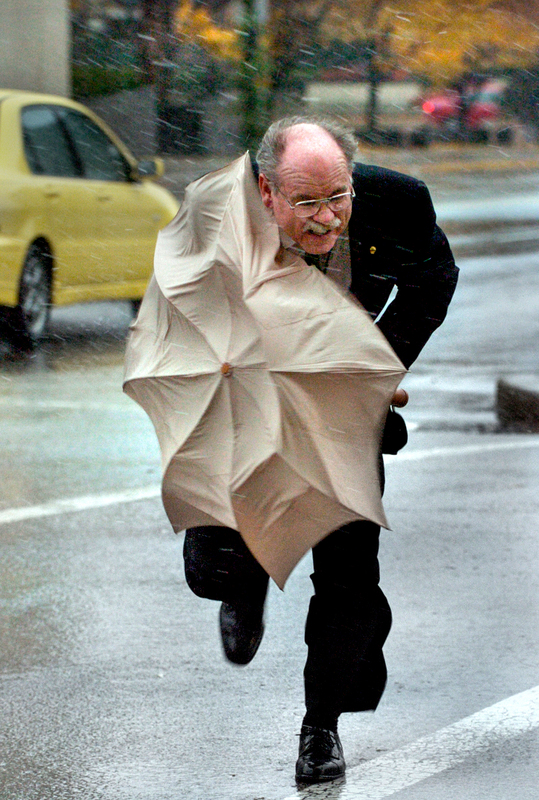 Caterpillar accountant Gary Vest struggles with a strong gust of wind in Peoria. 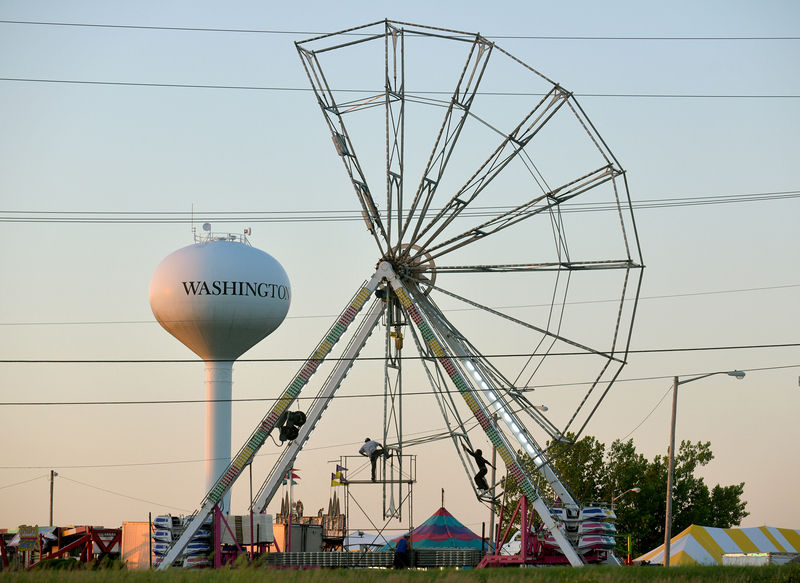 Workers take apart the Ferris wheel after the Good Neighbor Days festival in Washington. 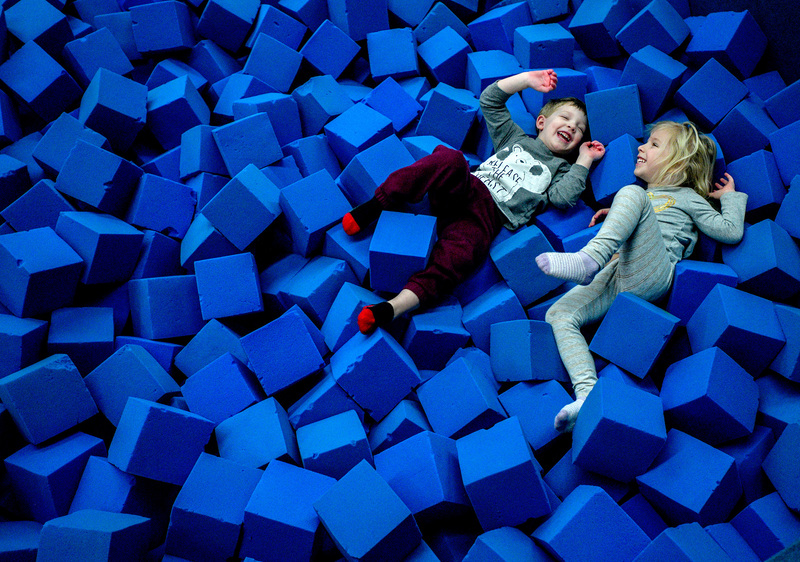 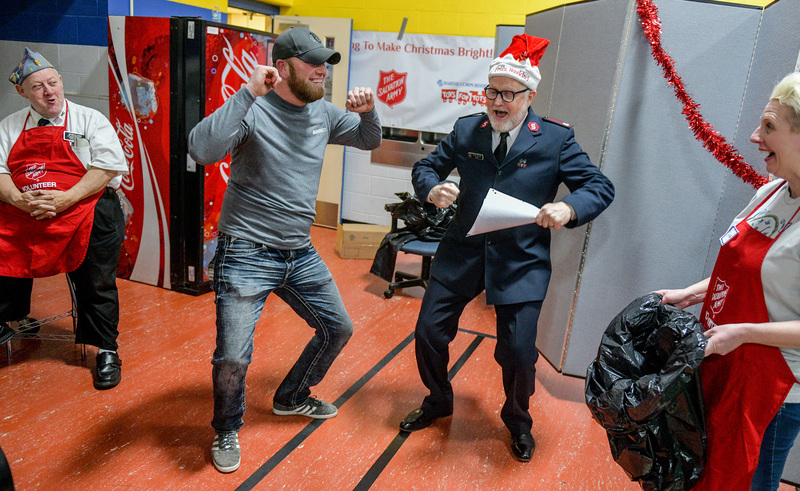 Cooper Bergman, left, of Morton and Quinn, last name withheld, of Green Valley, both 3, play in the foam pit during open gym at Aerial Athletics in Pekin. 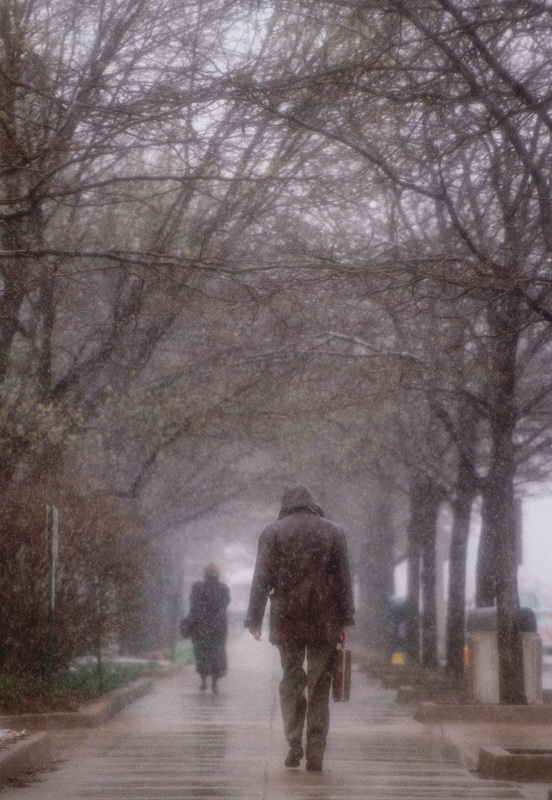 Pedestrians make their way through a surprise spring snowstorm in downtown Peoria. 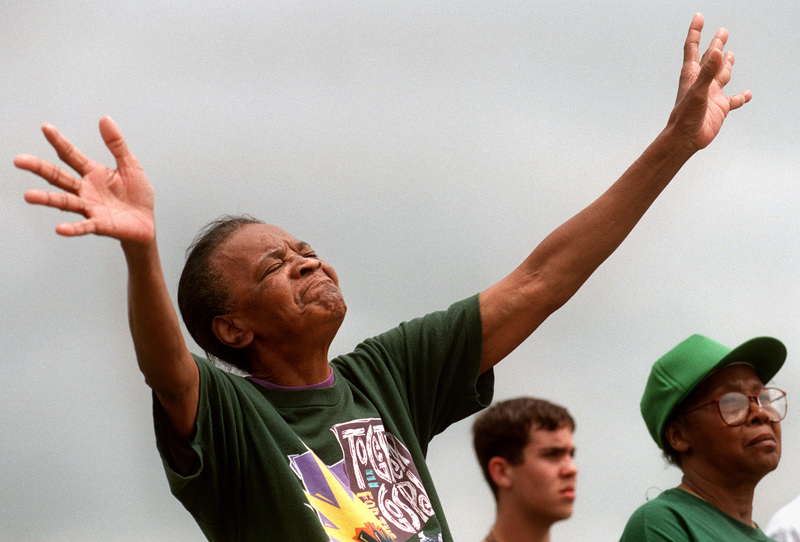 A worshiper raises her arms to the sky during the March for Jesus on Peoria’s riverfront. 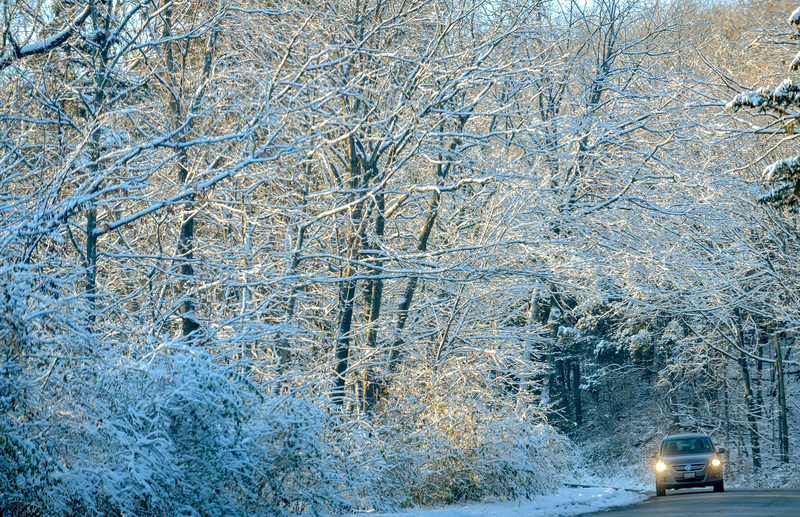 The evening sun illuminates snow-covered trees as a car makes its way down W. Detweiller Drive in Peoria. 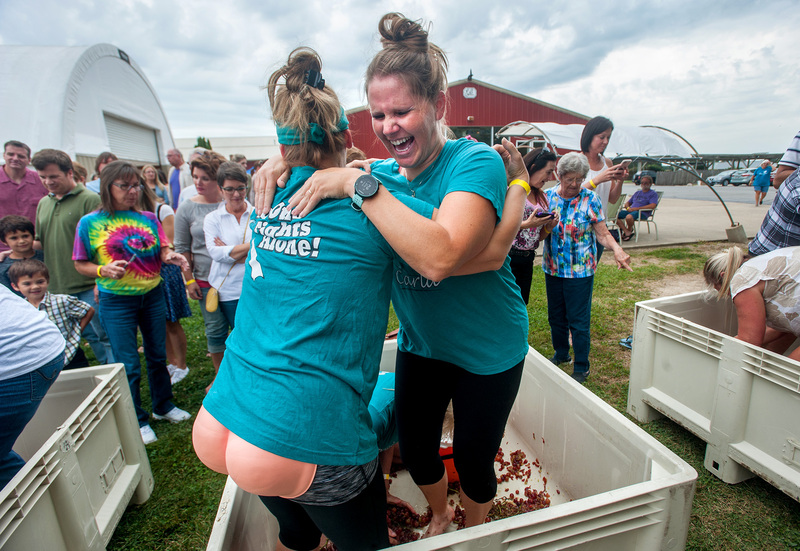 Brooke Uphoff, right, screams and holds on tight to teammate Mary Hall as they crush grapes at Kickapoo Creek Winery in Edwards.